If there is anything that I have learnt from living in Boston, it’s how to layer, stay warm and still look good. Layering is not an easy task. While wearing big bulky sweaters and thick layers would do the task, it would be too many things to take on and off and annoying to deal with the heat when indoors. So, what’s the secret to staying warm and cozy all winter without the extra baggage? The best way to dress is to invest in a thick windproof jacket and layer for winter, however, too many layers can be annoying and so I am sharing my winter staples that I use daily as well as in Autumn. These are investment pieces that will keep you warm and happy all the year round. 1. Thermal inner wear: This is the most important piece of clothing! Thermals come in a variety of shapes, materials and textures. I have a few of them in different materials (from thinner pieces such as scoop neck shirt and tights to a turtle neck). On less windy days I opt for only the thin full sleeves shirts with a sweater. Other days, I wear a turtleneck to keep my self from freezing from the wind chill! 2. Wool socks: Did buying wool socks change my life? Yes! 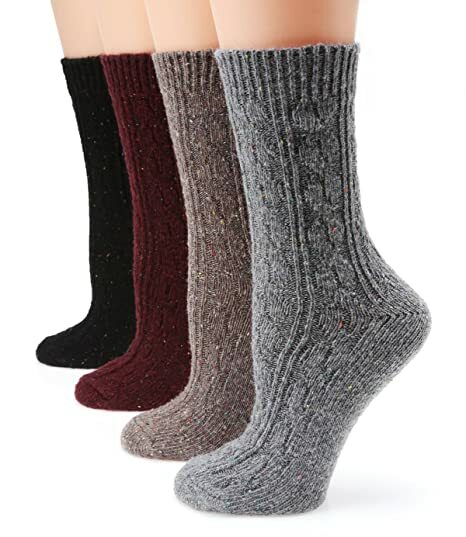 I previously owned a bunch of thick socks but after wearing them for a 15-minute walk, my feet would already be frozen to the point where I couldn’t feel my toes. After buying my first few pairs of wool socks, I was obsessed! These definitely keep your toes warm and cozy! 3. Scarf: We all know how the wind creeps in when you out on a windy day. If you walk to work (New York, Chicago, Boston), this can be enough to make you sick. I always, always! Wear a scarf! A big chunky scarf not only protects your neck, but on those super uncomfortable windy days, it can provide extra insulation for your chest. 4. Beanie: Beanies are super cute plus they keep you warm! My favorite one fleece lined ones in a neutral color like black which goes with everything! 5. Teddy coat: This is my favorite wardrobe item at the moment. It’s warm and fuzzy and feels like a teddy bear hugged me! This piece can transition from fall to winter and on those slightly warm days (think 40 F), this is a perfect escape from your winter jacket! No one looks forward to the cold! But I do love a cozy sweater when the temperature drops. Despite their simplicity, cozy sweaters with a simple pair of jeans or tights can really do the trick for an effortless look. 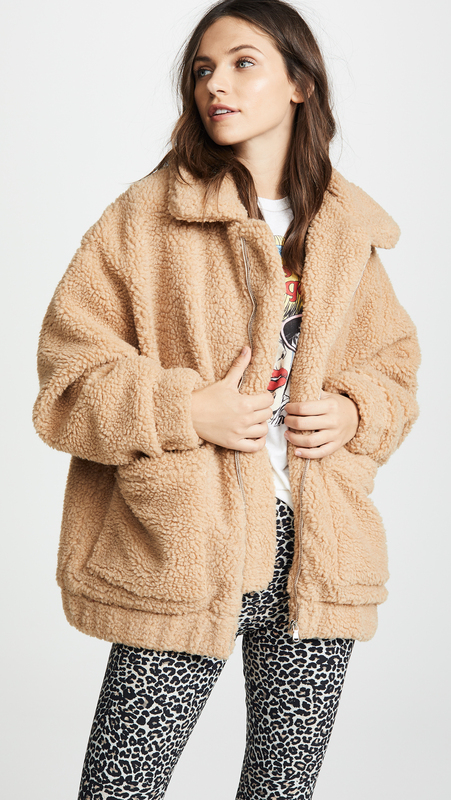 Check out this cozy sweater with faux fur sleeves, for example. With some extra little touches like pearl hoops and eye catching mules, the off-white of the sweater really pops, resulting in a chic look with zero the effort!